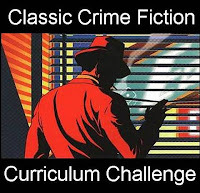 The Postman Always Rings Twice is the second of the classic crime fiction curriculum challenge books I’ve read. While the story is quite short (89 pages in the edition I read), it packs a powerful punch. It’s a long time since I’ve read a novel, where my first action on finishing it is to go back to the beginning and start again. It really is that good and certainly one the best stories I’ve read since Hans Fallada’s, Alone in Berlin (my favourite read last year). 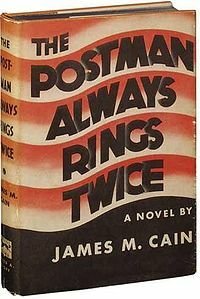 And it has much in common with Fallada’s masterpiece, having a small cast of principal characters, a very well plotted, credible and clever story, and a noir sensibility that leaves the reader emotionally drained by the end. The writing is tight, thin on thick description, and proceeding through a series of nicely judged scenes that documents a fatal attraction and its consequences. 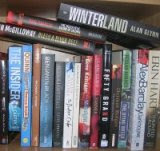 And it’s clear as to why readers of this blog voted it an essential classic crime fiction read. A powerful book, that’s worth reading twice. Rob - Thanks for reminding me of this book. As you say, it's not a long novel, but it is a strong, strong story and quite compelling. I need to go dig that one out and re-read it : ). Does a story have to have likeable characters?